Handicap ramps provide access to the upper and lower levels of the building. The building has handicap bathrooms. 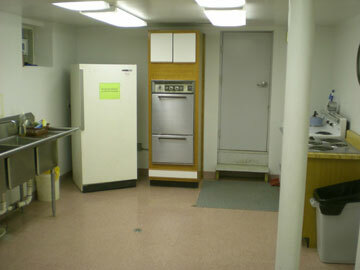 The kitchen has 3 sinks, with 2 stoves (8 burners) and refrigerator/freezer. The overall size is 25 ft by 12 ft. 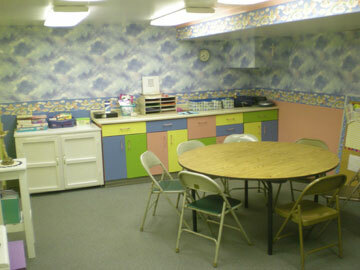 The tenant can have a cabinet in the kitchen for storing their coffee and paper products. The fellowship hall is approx. 41 ft by 28 ft and is adjacent to the sanctuary. 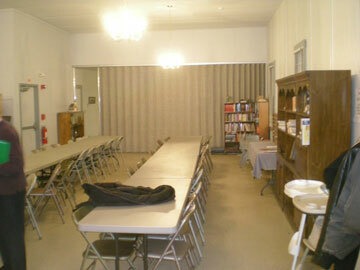 A folding wall can be opened to increase the size of the fellowship hall to 61 ft by 28 ft. There are five classrooms located in the lower level of the building. 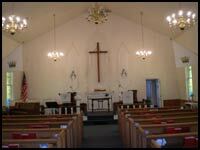 The pastor’s office is located on the upper floor next to the fellowship hall. 46 parking spaces to the east of the building in a gravel parking lot. The building has a warm water boiler. The building is fully air-conditioned. The township of Canton was created by act of the Michigan Territorial Legislature on March 7, 1834 out of what had been Plymouth Township. It was named after the city of Canton in China. The name was chosen for the purpose of not conflicting with the name of any post office in existence at the time. At the time, there was a territorial law from April 12, 1827, prohibiting the incorporation of any new township having the same name as any existing post office. . Governor Lewis Cass returned the acts unapproved, citing a conflict under the law. The legislature thus had to substitute the names of Nankin and Pekin after the cities of Nanking and Peking in China. Although the name of Pekin was changed to Red ford in 1833, apparently when naming Canton, the legislature decided to continue having at least two townships named for Chinese cities. The first meeting to organize the township was held in April 1834. The Canton Historical Society and Museum opened in 1982 in a one-roomed school house (school house was built in 1884).